Universal: the CK-230 uses the “2” Series head components (compatible with 9, 20, 280, & CS310 Parts). The CK 230 , like the Weldcraft Crafter Series and the WeldTec Speedway, is basically an update to the popular WP-20. 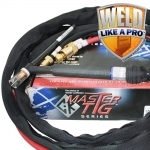 While the Crafter series was the first to raise the bar on both performance and comfort, CK then introduced the 230 TIG torch and WeldTec to build the Speedway. With the CK 230 torch comes a more efficient power cable and better water-cooling in the torch head. The cable is more efficient because there is better cooling capacity (more water around the conductor lead) and a larger conductor lead for improved energy transfer to the TIG torch. The CK 230 TIG torch is similar in performance to other manufacturers, but much more affordable. AND the best part is if you get your torch as part of an Arc-Zone PRO torch package during in the month of February it comes with a 10% discount attached. Arc-Zone’s PRO packages are “weld-ready” right out of the box. 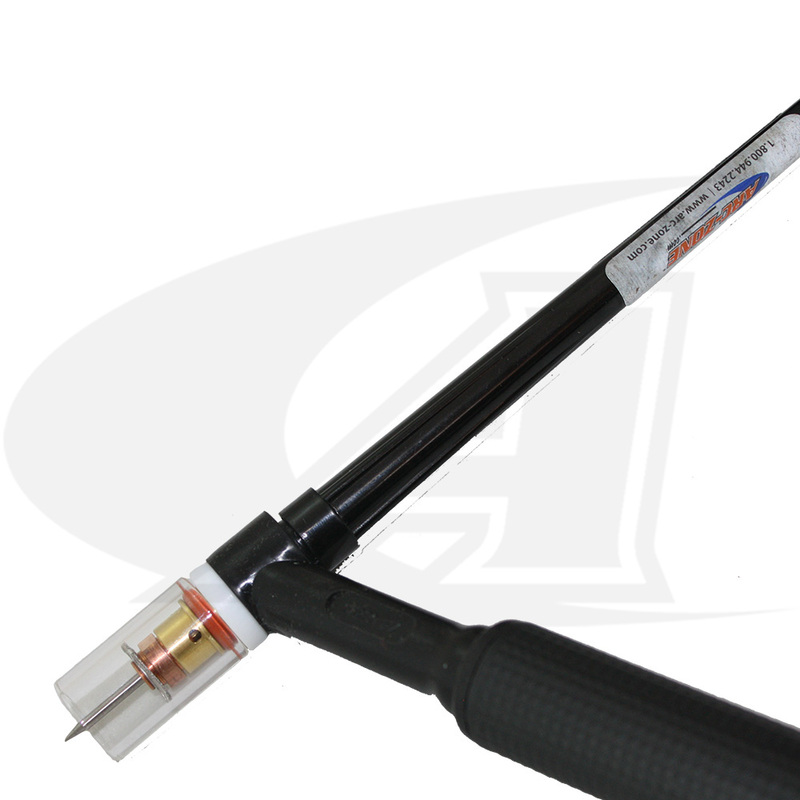 The TIG torch comes with 3/32″ front end parts– with the gas lens set up and precision ground (at the most universal 22 degree angle) non-radioactive, hybrid tungsten electrode installed! You can select your cable length: 12.5′ or 25′ and we not only include a cable cover, we install that too! 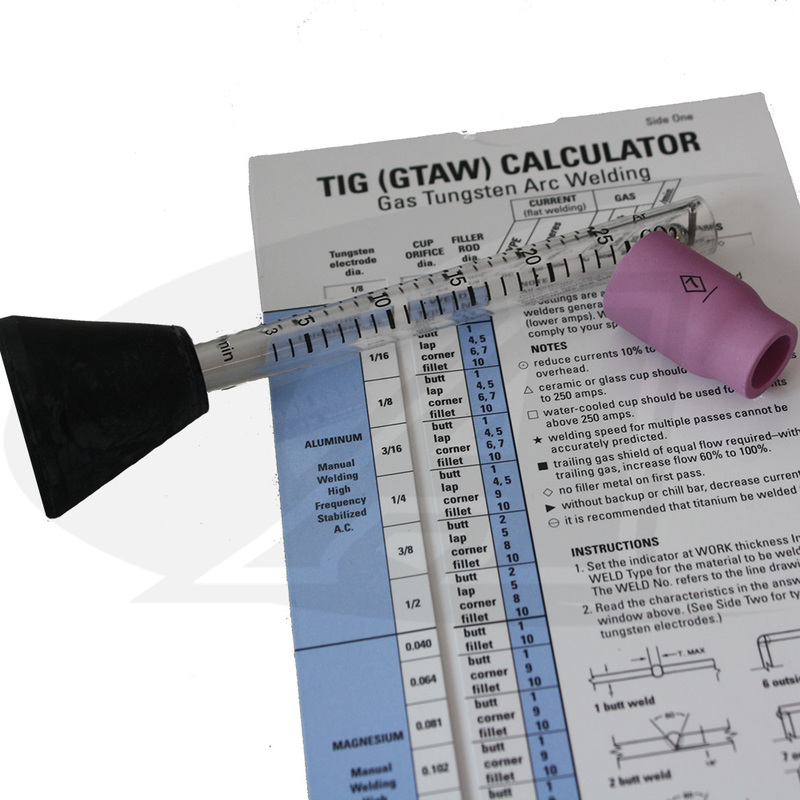 And to top it off, your PRO package will include a spare alumina nozzle, a TIG calculator, and a shield gas flow tester so you’ll always know your flow at the TIG torch head! And our signature bag of M&Ms as always. Get your order in today, and/ or give our customer care folks a call at 800-944-2243 (toll free in the U.S.) or 760-931-1500 (world wide).